Some things are worth the wait, like the launch of our Fall’12 website update. It’s coming soon…so while you wait, here’s a little something to keep you interested! Canadian designers paired together, Dennis Merotto blouse and Jeremy Laing skirt. 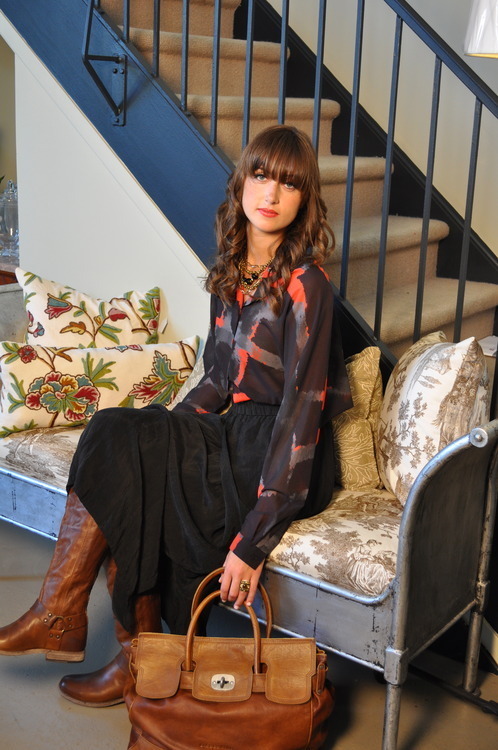 Accessorized with Frye boots and a Liebeskind bag. We LOVE this look!